The Miss Black US Ambassador and Miss Black Teen US Ambassador Scholarship Pageant, is a program of Ambassador of Change Inc, a 501c3. Our mission exists to give a once in a life time opportunity for young African American women to serve as an ambassador of change and to encourage, empower and enlighten, communities’ states and nations. Our purpose is to be a rising voice in the community and to make difference, by providing educational forums and events that focus on health disparities, poverty, violence and major issues plaguing the African American community. 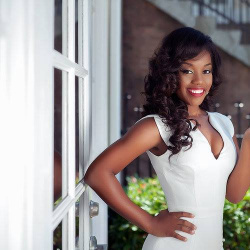 Our goal is to be a role model not only to young African American women, but to women around the world. MBUSAM is than a pretty face, and more than a competition. It’s a program that gives 365 days of support and resources to communities in need. 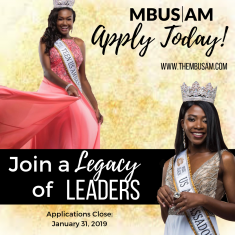 It’s a platform for today’s savvy, smart and aware, young women of color to express their viewpoints, extraordinary talents and accomplishments to the national public, while offering scholarships opportunities to further education.